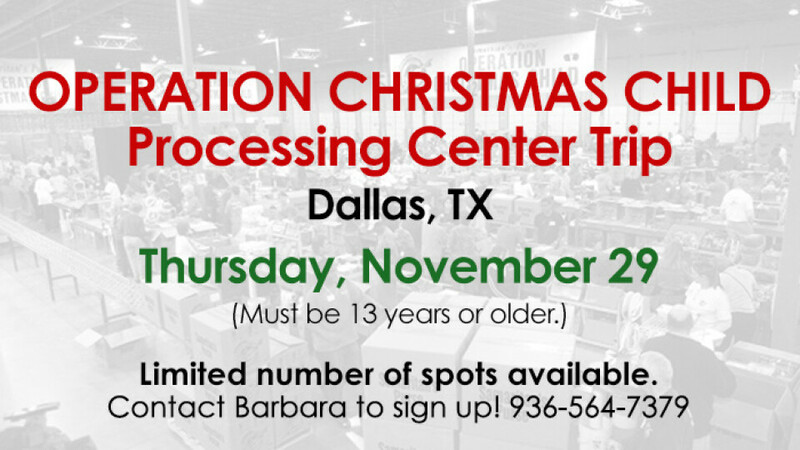 Sign up to serve at the Operation Christmas Child Processing Center in Dallas on Thursday, November 29! We will leave on the bus at 8:00am and get back around 10:30pm that night. Contact Barbara if you would like to go or to get more information. Millions of shoeboxes are collected during National Collection Week. Before these special gifts can bring hope and joy to children around the world, each one has to be carefully inspected and made ready for overseas shipment by volunteers like you. You can help prepare shoeboxes for delivery by volunteering at one of our processing centers across the United States. About 80,000 volunteers serve annually at our processing centers.